As a little girl Gladys Lunn was thrilled at the prospect of moving to the seaside resort of Skegness, but when she ran down to the beach she found her way blocked by a barricade of barbed wire. That was when she realised that her country was at war. 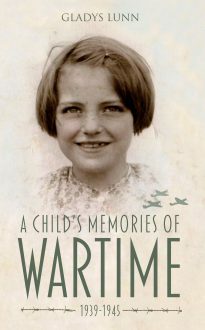 This book is her memoir of those long-ago years when she and her sister, the daughters of a fireman who worked long hours to deal with bombs and explosions, were often uncomfortably close to the action – on one occasion Gladys found herself running for home with bullets from a dogfight overhead hitting the pavement beside her.